Nowadays, a candidate's acceptance of a new employment position is likely preceded by a quick company Google search or a scouring of previous employees’ Glassdoor reviews. As a female entering any industry, let alone one dominated by men, as most industries still are -- you should make sure that your first step toward achieving success as a female professional is to closely vet the company you’re thinking of joining. Sometimes, all that involves is a bit of research: What benefits does the company offer? Does it have a good maternity leave policy? What about mentorship programs? How many female leaders hold management positions? These are crucial questions; and if the answers are lacking, they're information points you'll need to flag before you accept a job -- even making them part of the interview or early research process. Although the number of companies with large female workforces is low, they do exist. For example, the American Heart Association’s executive team is 79 percent female! Sephora’s is 78 percent. And Build-A-Bear Workshop’s is 86 percent. It’s important to understand, for whatever industry you’re entering, what its workforce landscape is, and what you want from your experience working within it. If you're a woman, then, here are three desirable scenarios you may want to focus on for as you apply for jobs. Meritocracy models at companies are implemented to enable women (and men) to advance into senior roles. Where I work, this model has allowed females across the company to consistently climb up the ranks and compete for senior-level positions -- so much so that today, the company is 90 percent female. The women leading our team’s Middle Eastern operations and our division in Japan, for example, both started at the company as assistants. 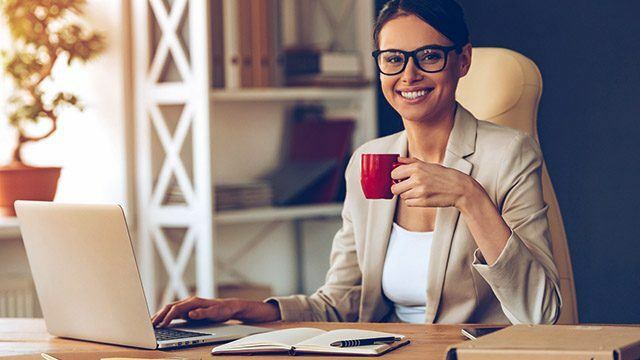 While men have also competed for these roles, the advantage that employees -- especially female employees -- have had because they were able to use their initial, entry-level positions to leverage their career scope within our organization, has been exponential. A meritocracy model allows employees (no matter what their level) to develop skills that can translate into more senior roles later on (e.g., adept negotiation skills, client resolution skills, business development skilsl). One of the more successful meritocracy-based companies out there, The Kraft Heinz Co., has built its brand success on its push for company performance. Today, the company has almost 40,000 employees. If your company instills drive into its employees and incentivizes them to strive for more -- then rewards them based on that ambition -- that practice is typically a good sign that you can move up quickly. Some red flags to watch out for, however, include: rigid structures; and managers who refuse quarterly check-ins or don’t give feedback on performance; or even a lack of positive reinforcement. Every woman’s journey to achieve her professional goals is different. It may not be a straight line or follow a linear blueprint. Yet, there's nothing wrong with that: Approval of a nonlinear progression appears to be widely and unanimously shared by professional coaches and career growth experts alike. According to The Ladders, a lateral move can actually lead to the fulfillment of your career potential. Joanne Cleaver, author of The Career Lattice: Combat Brain Drain, Improve Company Culture, and Attract Top Talent, highly recommends strategic lateral career movements as an effective methodology for employees and companies. Such movements can benefit both parties, Cleaver says: Companies retain qualified individuals and employees not only learn new skills but have opportunties for promotion. To better prepare for a senior role, then, consider a lateral position. In most situations, you have the ability to apply your past skills sets to new departments (and sometimes innovate along the way). Additionally, by switching departments or even cities, you'll find new skills to learn and master. According to executive search firm Boyden, the most qualified people for senior positions are those who have a well-rounded perspective. Beyond learning new things, moving laterally, and/or internally also helps you build company rapport and is specifically advantageous when you're at a company that's in a growth -stage. If you understand how multiple divisions operate, separately and together, you can provide essential feedback to that growth process. In all, it’s important that women’s career paths across all sectors be recognized and respected. So, whether you're properly vetting a company before accepting a position, requesting feedback or creating your own path -- it’s important to always remember to ask the right questions. Preparation is key; before considering any changes, construct a clear and concise outline, detailing your vision for your success. Start with a thorough self-assessment of your skills; and be critically honest with yourself about your areas of strengths and weaknesses. Being armed with this knowledge empowers you with a concise, directional guide toward your goals, and an exemplary road map for professional success. Overall, respect your career path. So, ask those important questions of your employer, your HR manager, your colleagues. But, most importantly, ask them of yourself, and you'll only grow from there.